Today is the era of digitization where we cannot imagine our lives without smart phones, laptops, television and the Internet. While on the one hand, these things are speeding up our lives and making it comfortable, on the other hand it has some negative aspects in growth and development at the early stages of life. By using such devices now, there is a lower attention span of kids which has become a crucial concern for parents and the school system as well. Studies by UNICEF, the Govt. of India and various NGO’s have suggested that the attention span is now down to only 7-8 minutes in adults from an earlier 28 minutes, while in children it is much lower. All this has ultimately led to lower “cognitive skills” which relate to seeing, hearing, touching and walking. In a classroom, this has led to learning difficulties and hyperactivity. As per statistics of UDISE (Unified District Information System for Education) in year 2013-14, more than 2 lakhs children with learning disability are enrolled per year between the age group of 5 and 15. Under SSA (Sarva Shikhsha Abhiyan - a Govt. of India initiative towards the universalization of education) early identification and intervention is focused at the earliest possible age. “Cognitive skills training program” is our latest development which uses a combination of Denver model and multiple intelligence theory. It uses various domains which focus on the early intervention of children with intellectual delays, learning disabilities/difficulties, ADHD, ADD, Autism and slow learners. A pilot study has been conducted on the junior wing of a leading mainstream school where there is a total of 224 children aged between 4 and 6 years. Out of them, 8% of kids were identified as having difficulty in learning and hyperactive behavioral issues. The cognitive training skills program has been imparted on these students with continuous monitoring for improved skills. Various domains like receptive language, expressive language, play, imitation, social skills, joint attention behavior, reading, writing, sensory activities are worked upon. After four months of intensive intervention, results were compared, and parents and teachers were asked to tell differences after giving the cognitive skills training intervention. Around 60-80% improvement has been shown in various domains by the children after attending these intervention classes. 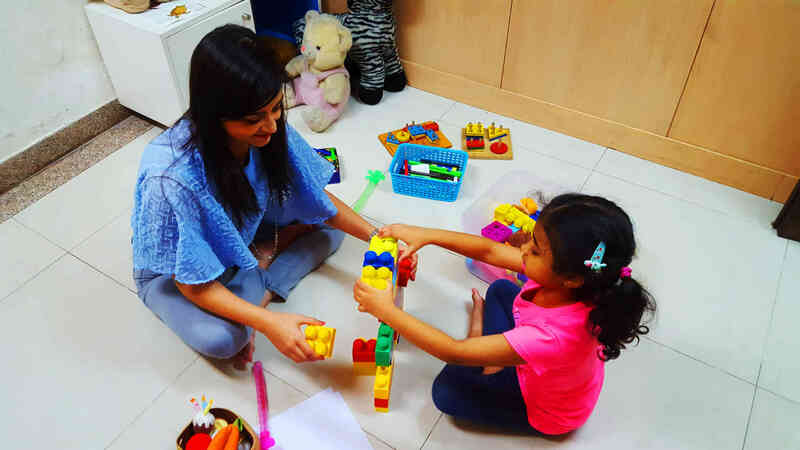 Various indoor and outdoor activities in the cognitive training program contribute to the holistic development of a child in areas like sensory, motor(gross and fine), play and imitation skills, reading, writing, various perceptual abilities and socialization, which in turn, enhance their ability to cope and speed up with essential life skills. With changing lifestyles, multi-tasking and increased digitization – even in classroom activities, we have to re-examine didactic practices and introduce effective amendments in our classroom strategies. This is important to ensure good and systematic development of cognitive skills and thus superior knowledge: among our students; especially the pre-primary and primary ones.